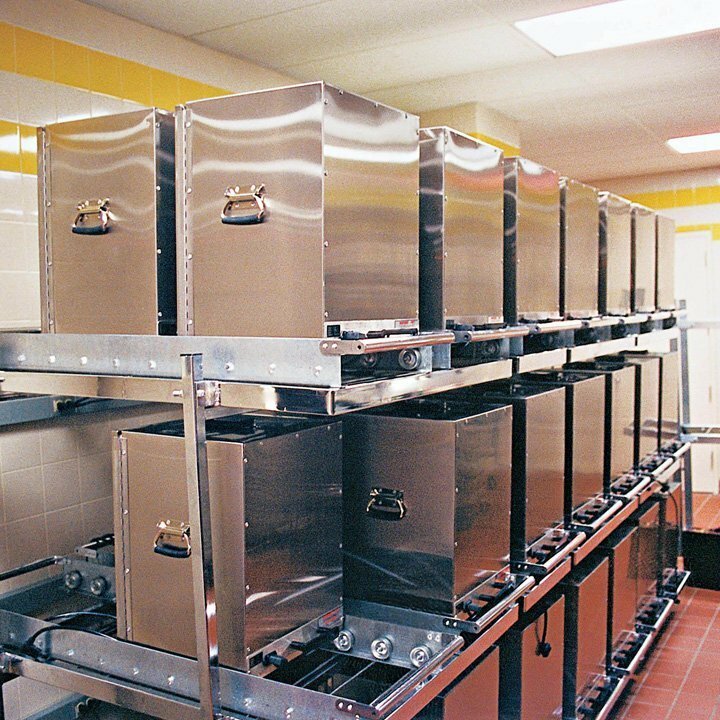 These racks preheat and hold warmers ready for use in larger kitchens. 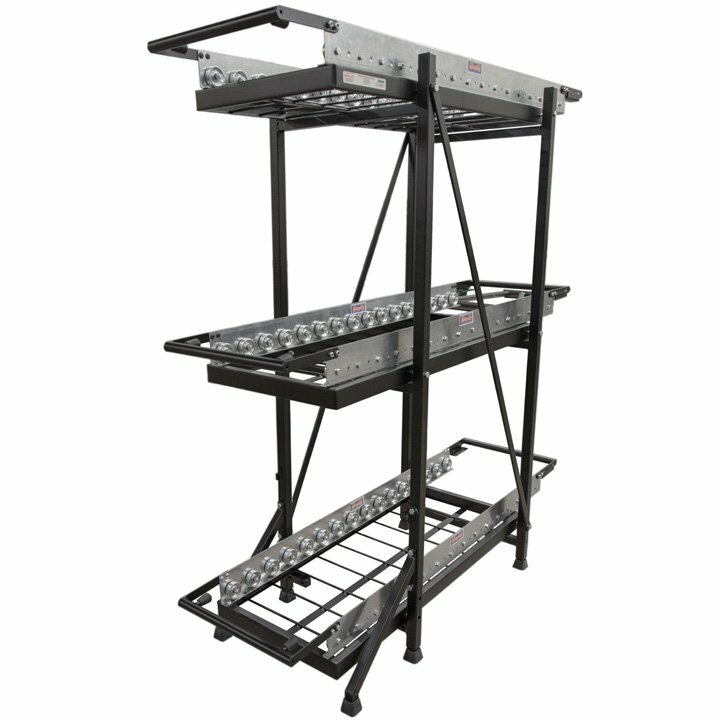 Each single gravity-feed storage rack holds up to 9 electric warmers. Each double feed gravity rack holds up to 18 boxes.